Baking started as a release from my day job, but became more than a hobby; it turned into a from-home business when I sold holiday pies for a few years. I loved how the food I was making was a means to connect with different people, and as tough as it was I loved the work of just baking a ton of pastry. 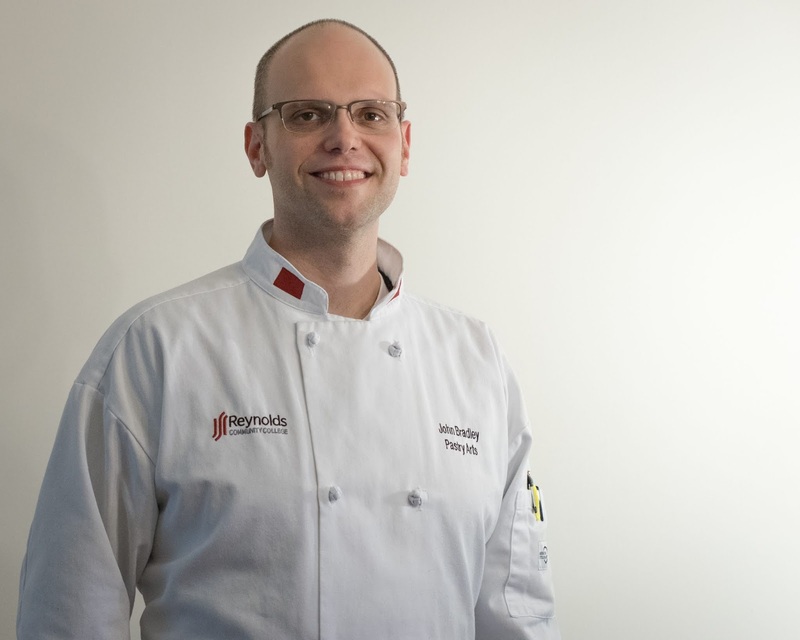 I want to learn how to build a career around baking like that safely and sustainably, and the culinary arts program at J. S. Reynolds offers me that opportunity. Where are you in your culinary studies? I’m in my first year of the pastry arts program, so just getting started! In class, I’m practicing knife cuts (especially the tourne) and studying for ServSafe certification. Outside of school, I’m beginning a pastry/baker internship at Camden’s Dogtown Market. Probably our lab’s mise-en-place. There’s something energizing and relaxing about having everything ready and in place before we dig into the night’s work. I love using yams! I use them in pies, tacos, soups, and they work for any time of day. Definitely: I make mean chocolate sweet potato pie. I’d like to spend some time learning about pastry in other parts of the world, and then open my own bakery. Mary Angela’s will always have my heart. A big part of studying culinary arts is that it’s learning to do something for other people. So come ready to work hard, to be open to criticism, and to be positive.